Hey Everyone!! Heather here. Summer is almost here!!! I’m so excited for my kids to be out of school and all of our activities to be finally winding down…..more time to spend creating cool stuff for kids with The Green Orbs! Eddie and I have great plans for this summer. First order of business…..a new website address!!! Our website can now be accessed using www.TheGreenOrbs.net! This is very exciting indeed because now we will be easier to find in the magical mystery world of the internet. Our goal for buying our new web address is for our name to come up first when you google The Green Orbs. Currently, if you were looking for us and typed our name in to Google, all you would find is information on ghost orbs. Um….not exactly cool stuff for kids. Just another step in our quest for maximum awesomeness. I am looking forward to attending KindieComm 2014 next week!!! It will be great to meet other people from the world of Kid’s Music and hear about all of the great things they are working on. I am so excited to talk to people about The Green Orbs and all of the cool stuff we are creating. It sounds like there are some great workshops to attend to learn all about the industry…..I can’t wait!! We even ordered new business cards just for the occasion! Of course, if you have been following along on our blog, you know that our new app “The Hams in the Deep Blue Sea” will be making its debut soon! 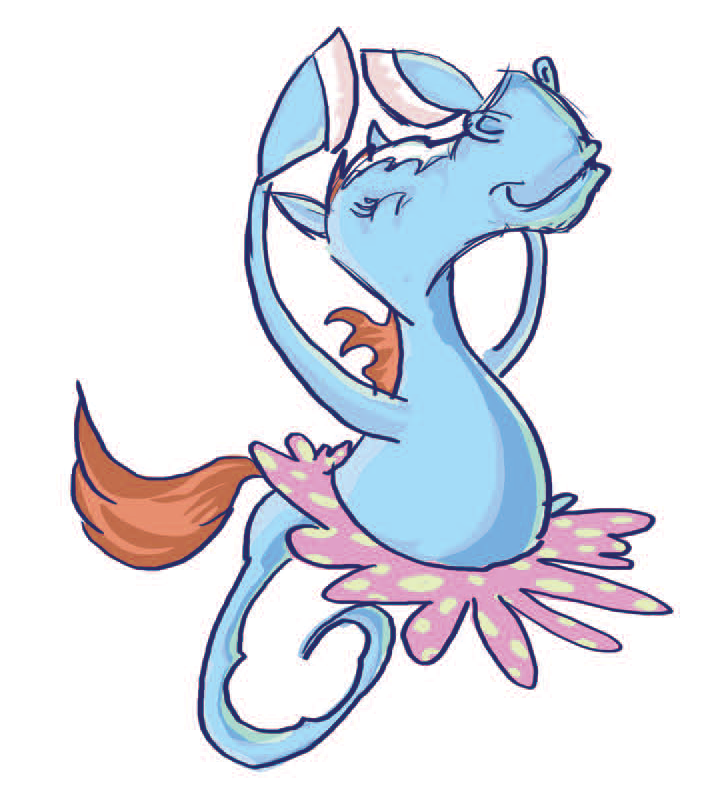 I thought I would share another sneak peak at one of the creature our Ham family meets under the Sea……a Sea Horse!! I’m sure from this picture and the picture of a Moo-Maid, you can already tell that the Hams meet some very interesting creatures!!! !Any ideas who else they might run into under the sea?????????? Happy Summer Solstice everyone!! !